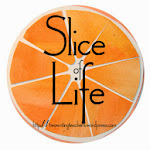 Literate Lives: Take Me Out to the Ballgame! With summer right around the corner, 30 days, but who's counting, I thought I'd check out a couple of new baseball books. I'm excited to add them to our collection and recommend them to our students. I just hope I don't say something corny like, "It's a beautiful day for baseball, so let's read two!" but I probably will. The first is by sports writer Mike Lupica, The Big Field. I have read several by Lupica, both kids and adult sports books. He is one of today's best sports authors. He always does a great mix of describing the sports and creating believable characters. The Big Field continues the formula. Hutch is the star shortstop for his American Legion team trying to make it to the big baseball stadium for the championship game. Everything seems to be on track until he has to give up his favorite position to the new kid Daryl, an aloof, natural who clearly doesn't have the same love of the game as Hutch. Add in Hutch's father who was the star shortstop for the same American Legion team in his day, but doesn't want to encourage his son's dreams for fear of him getting hurt, and you have the classic Lupica sports novel. The drama is well written with enough young teen humor to break it up and make this an enjoyable sports read. For another review see Fuse #8. 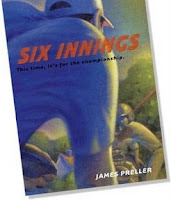 The second is a book called Six Innings by James Preller. It brought to mind the older baseball book I used to read aloud each spring, Hang Tough, Paul Mather. Preller takes one little league game, six innings and creates an incredible story. The action of each inning is described in awesome baseball detail. Intertwined with the boys playing are stories of their lives off the field. The stories come to light as each boy bats or makes a great play in the field, or in one case announces the game from the press box. One boy is the son of a police officer killed in the line of duty. Another has been diagnosed with osteosarcoma, bone cancer. One player's father supports his little league fun, but constantly reminds him that he shouldn't take it seriously. The catcher for the team has an injured arm, but won't tell is father the coach it hurts to throw. This is a great book for lovers of baseball. Kids will relate to most of the players and will thrill to the realistic baseball action. Preller has taken great care to make it realistic by combining the action from some well known actual major league games. Two fun, action packed baseball books to start the summer that most 4th and 5th graders can read and enjoy. It makes me want to buy some Crackerjack, hot dogs and put the Cleveland Indians on the TV! PLAY BALL!! The Gollywhopper Games are Great! !